My mind and heart resonates with much of this. I’m glad you enjoyed it, Wayne. It would be fun discussing how a book like this might shape our thoughts about church as we know it. I read this book several years ago and was tremendously challenged. Thanks for this insightful review, and I would also rate it very highly. Dave, thanks for the comment. If you have stories of how the ideas in this book have impacted life in your church, I’d love to hear them. There are so many stimulating and rich insights in this book that I don’t know where to begin. So I will just start by thanking you for making us aware of this important volume and postpone further comment for another day. Your review exhibits a major effort and I’m grateful for all excerpts you included. I have just read through this excellent review again and remain overwhelmed with the truth of this book. Equally, your commentary on what the author left out of his analysis, relative to Anabaptist/Mennonite circles, resonates deeply with my own experience. The Evangelical/Reformed churches, where I have spent most of my Christian life, are accurately described by Hellerman. Generally speaking, these churches may talk about “community” and may even take measures to foster a greater community orientation, but in the end they are not very successful at it. Most Evangelical Christians continue to think of church as something they go to on Sunday morning (and possibly on Wed evening), but then they go back to their real lives the rest of the week. The church meeting is actually a means to an end for the Evangelical, that end being their personal growth in Jesus and the benefits that church programs afford to their children. The Anabaptist concept of brotherhood is completely foreign to them, as is the early church notion of a common life. As Hellerman indicates, it’s really a worldview problem. In the West, life-priorities revolve around the individual and his blood family; so Christians in the West end up using Jesus and His church as an additive. They add Jesus to their individual and family lives in so far as He helps them to achieve their individual and family goals. And the church is used likewise in this pragmatic and utilitarian manner. Hence, the Evangelical/Reformed are a very long way from what Hellerman is so cogently advocating. Now what about contemporary Anabaptist/Mennonites? Are they any closer to approaching Hellerman’s standard? No, not at all. Mennonites have a greater sense of community than Evangelicals, but that community is really defined and delimited by bonds of natural blood. Conservative Mennonites, generally speaking, are not at all welcoming to outsiders. They are more of a closed kinship group than a genuine Gospel community; more of an ethnic clan than a NT church. Contemporary Anabaptists, as you pointed out Dwight, have erected huge barriers of extra-Biblical tradition that actually forbid outsiders from finding a place of membership among them. I write here out of my own painful experience. Conservative Mennonites are wonderful people; I always enjoy being in their company. But they are utterly committed to church standards that go far beyond what is written in the Word of God. Consequently, conservative Mennonites really possess no more of what Hellerman argues for than the Evangelical and Reformed. What is needed then? The work of the Holy Spirit is needed more than anything (and I don’t mean tongues and prophecy!). What Hellerman describes in his book is a miracle. The kind of church he articulates is altogether supernatural. I can account for the Evangelical/Reformed churches simply on the basis of Nature. They are individualists who have found something that helps them personally and they want it for their children as well. But they won’t make the church their life-priority. They won’t move their residences to be closer to one another. They won’t deny their daughters a university education, despite the fact that life on a college campus, in one way or another, will almost certainly compromise her virtue. They won’t turn down more lucrative job opportunities in another city so that they can continue to do life with the church in their own city. These things would require a miracle, you see. They would require something beyond the powers of Nature and self-interest. Likewise, I can account for conservative Mennonites simply on the basis of Nature. They love their own kind. They welcome those who are like themselves. So does every natural blood family around the world. 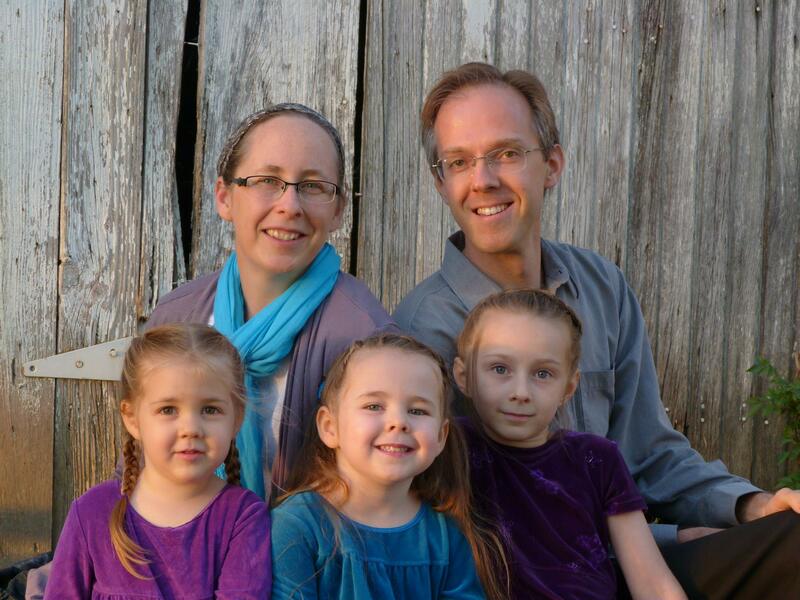 Mennonites have family, but it is not supernatural family. They are not a diverse people, but a people of a singular kind. Their growth is almost exclusively biological. They neither seek converts nor do they really want them; for outsiders would pose tremendous relational problems, due to those notorious extra-Biblical standards. Their very identity as “plain people” has no basis in the Word of God. It’s nearly all biology and human wisdom, wisdom calculated to preserve “our people.” And, of course, in keeping with the prevailing power of Nature, “our people” includes those born Mennonite and Amish, whether they are believing or unbelieving, while it excludes believers of different ethnicities who do not keep the fabricated traditions. These are not good days for the church of the Lord Jesus. We need something new. Hellerman’s work is a great place to begin rethinking church along the lines of the New Testament and radical discipleship. Radical means returning to the root. In effect, it means starting over again. This is what is necessary in our day. We must start all over again upon the foundation of the apostles and prophets. All existing models of the church fail us, because they fail the Lord Jesus. They are not in alignment with the NT nor are they close to being so. It’s not as if a little tweaking of the church, here and there, is all that is necessary. Hellerman’s perspective is not a minor adjustment to what we already have; no, not by a long shot. Hellermans’s position is a paradigm-shattering revolution. It calls for something new. It requires something Supernatural. Let us cry out to God then for the One who alone can produce it – the Holy Spirit. I believe the Anabaptist people are the hope of the world. Why? Because if anyone can and should understand Hellerman’s concerns, it is the Anabaptists. But presently, as they exist now, the Anabaptists are of very little benefit to the world. Why? Because they are in chains, manacles of their own making. They are in Egypt, slaves to their own traditions. And their leaders love to have it so. Has anyone seen Moses lately? I found this book that my 25 yr old daughter is reading. I flipped through it and was so so disappointed. She is already distant from her blood family except her grandma who is very evil and gives her money. I am a 1 st generation Christian her mom & my husband is not so I raised our girls up in the way of the Lord. My other daughter is struggling with health issues for 9 years and her older sister the one reading this book has never asked to help or call to see how she is doing. I was so disappointed to thumb through this book and see her high lite and circle things she already is cold and distant and yet wants to help the people at her church. I find it so unloving that she has never been a loving, forgiving person to us her blood family but wants to to her church family. Some people need to be Loving and kind to everyone NOT just their church family! In this case I hope the Lord directs her and NOT this book. I am so sorry if your daughter is not showing Christian love to her blood family. That is not the way of Jesus. I have not found this book to be supportive of those who neglect their families, nor have I heard anyone else suggest that it is. I am sorry if you feel it is having that effect on your daughter. May God bless both you and her.